The hype around programs that connect start-ups with corporates and investors in digital health has peaked. For two years running, the number of new accelerator programs has decreased. A lot of accelerator programs are having problems in attracting enough high quality start-ups to justifying budgets from their partner or parent companies. Many digital health accelerator programs will have to change along four dimensions to survive. At the beginning of 2017 there were over 340 early stage investors; i.e. accelerators and incubators investing in healthcare start-ups. The growth rate of new accelerators and incubators entering the market has slowed substantially over the last two years. Nearly all of these programs target digital business models. Who are the Top 3 Corporate Health Accelerators? There are over 15,000 start-ups based on a mobile app business model. 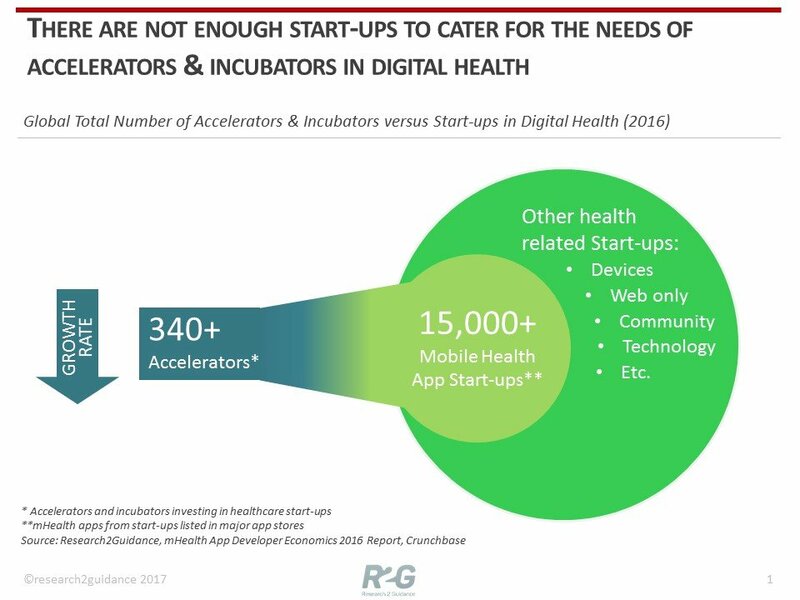 This means that there are less than 50 mobile health app start-ups per accelerator! There are just not enough start-ups out there to cater for the demand of 340+ accelerators and incubators. Especially for the rather small and unknown accelerators, which are overshadowed by the regionally well-known programs such as Plug and Play, StartUp Health and Rockstart. The number of targeted digital health start-ups per accelerator is insufficient for most accelerators to build up a high-quality selection funnel. While it is true, that most start-ups will apply for multiple accelerator programs, usually accelerators need to go through several hundred of applications before they can find a candidate that fits to their program. After talking to many digital health accelerators in preparation for this year’s mHealth App Developer Economics Survey, one common problem that stood out was that accelerators struggle to build up a high-quality selection funnel. With the majority of accelerators somewhat struggling for good quality applicants, how is it going to be possible for these programs to survive? This uneven market distribution is going to put a lot of accelerators and incubators in a tough position, if not already. With the supply of start-ups falling short of their needs, market conditions will force accelerators and incubators to adapt or fail in the next two years. 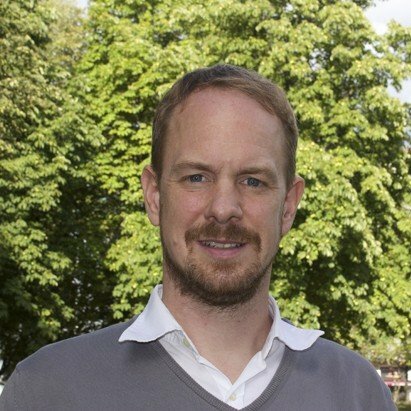 Even accelerators that are not in need of immediate funds because of, for example, they are backed by larger pharma, media, telco, bank or software companies will have to justify their track record and their return-on-investment sooner or later if the accelerator is not planned as a subsidized undertaking. 1) Market segments must be defined for the complex ecosystem of digital health start-ups. This will ultimately help accelerators better identify and understand their needs, which can differ significantly. For example, start-ups often differ in what they ultimately want from an accelerator program, whether it be geared towards remuneration, or perhaps towards high quality mentors. They may also differ in how they want to establish connection, or perhaps in the percentage of equity they are willing to give away. Accelerators must better understand the demographics of their target groups in order to tailor their services, and successfully marketing their activities. 2) Optimize and share the value proposition. Currently, the value proposition for accelerator programs is limited to hosting and coaching (mentoring) services, with some funding. Particularly in digital health, start-ups are also often in need of regulatory support, and access to traditional healthcare networks. Accelerators must diversify their benefits, and make it clear for start-ups what they can expect should they apply. 3) Improve brand awareness. Only a few accelerators are well known within the start-up community. The majority must raise the level of awareness for their program in order to get the best start-ups. Otherwise they will have to rely on time consuming active market screening. 4) Positioning in niches. One way of avoiding too much market pressure is to find a niche in the market. For a lot of smaller accelerators, this might be a valid strategy. Market segments are beginning to emerge for which accelerators are shifting their focus to start-ups in rather exotic regions, and in more favourable conditions. Also, in terms of business models, there are more options out there then the classical “knowledge, network and follow-up-funding for equity”. Some accelerators find additional revenue sources, some partner up with companies and receive money to connect companies with their asset (start-up knowledge). Some accelerators have managed to tap into state or federal resources, and now source their funding through public authorities. As always, thank you for reading. Your feedback is always welcome. I’d love to see an app for matching a digital health startup to an accelerator. Currently the application process is cumbersome and uses much needed energy.